Two post championship motorcycle trophy with cup. 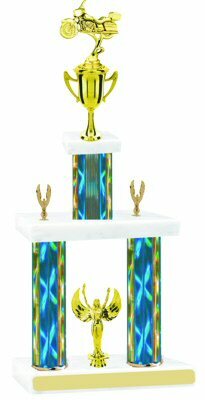 Customize your award by choosing your base, column and figure. Gold tone personalize plate make this award a real classic.